Find out how to wash and care for your wardrobe, not ruin your clothes and save money so they may last at least twice as long! Oh, the dreaded laundry day! 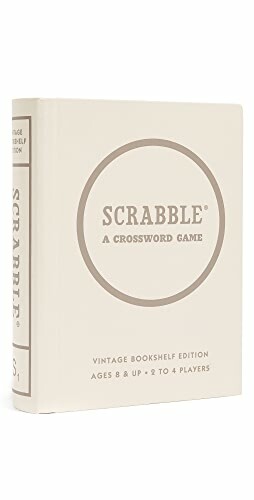 You’ve been putting this off for a couple of days. You dread washing all your clothes, hoping that you won’t have any more items to shrink or turn another color. That has happened to me before, and I just wanted to cry when my favorite shirt had turned from a beautiful white to a splotchy pink! I’ve also been through clothes shrinking in the dryer. One time I washed a sweater and dried it. Then, when I took it out of the dryer, it looked like a little girl’s sweater, eek! I had to spend more money to replace those tops and several other clothes that were ruined. Do you wish you knew exactly how to do your laundry so that your clothes turn out perfectly everytime? Are you tired of spending money having to replace items in your wardrobe that get ruined in the washer or dryer? Several readers of Classy Yet Trendy have sent me emails asking what they can do so their clothes last longer. 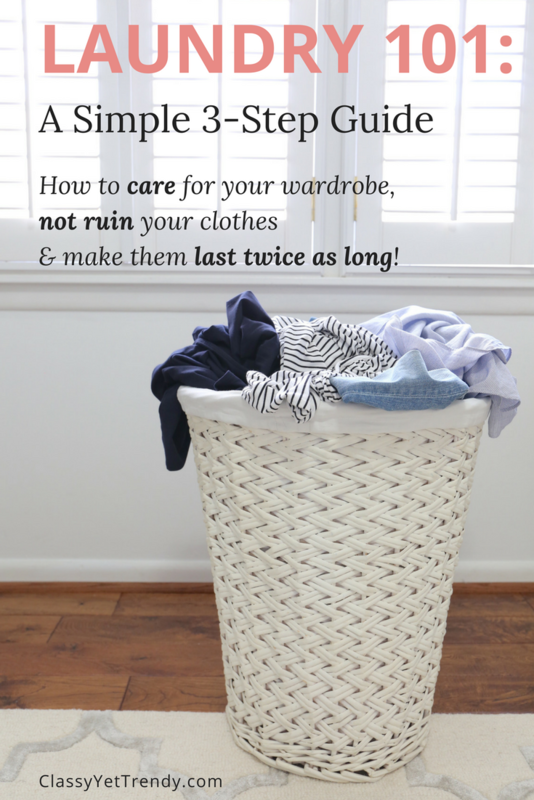 I have learned a few tips and tricks over the years doing by laundry and I would love to share them with you! 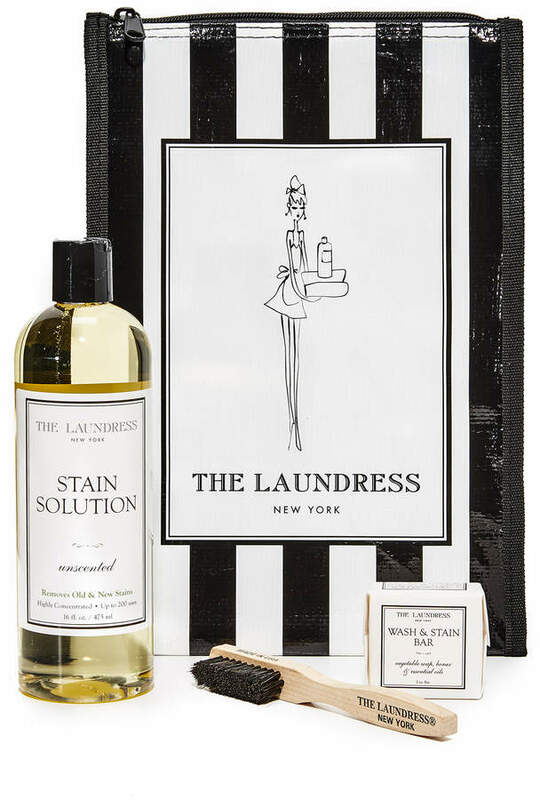 I used to overthink how to do my laundry, using several products to clean and refresh my clothes. But, now I keep the laundry process simple. I wash my clothes once a week, so I don’t have much to wash. 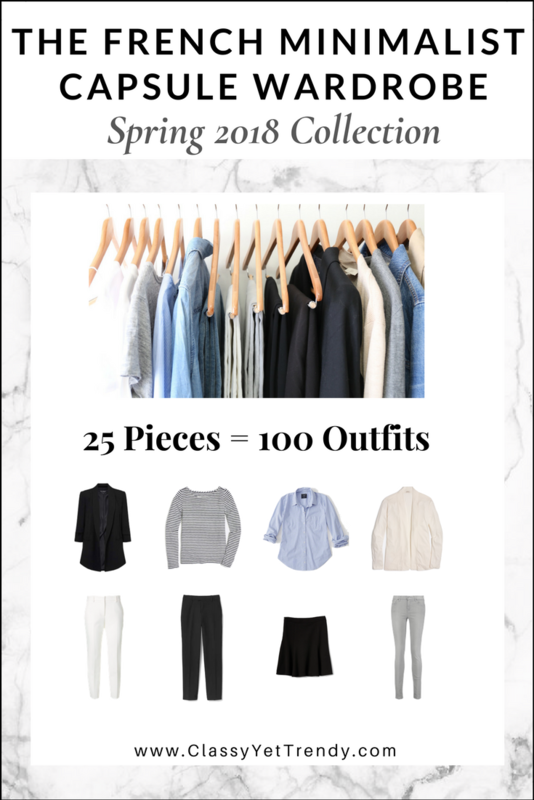 I use a capsule wardrobe system to maximize my outfit possibilities, while using just a few clothes. I make sure and use these same steps to care for my clothes, so they will last for years. 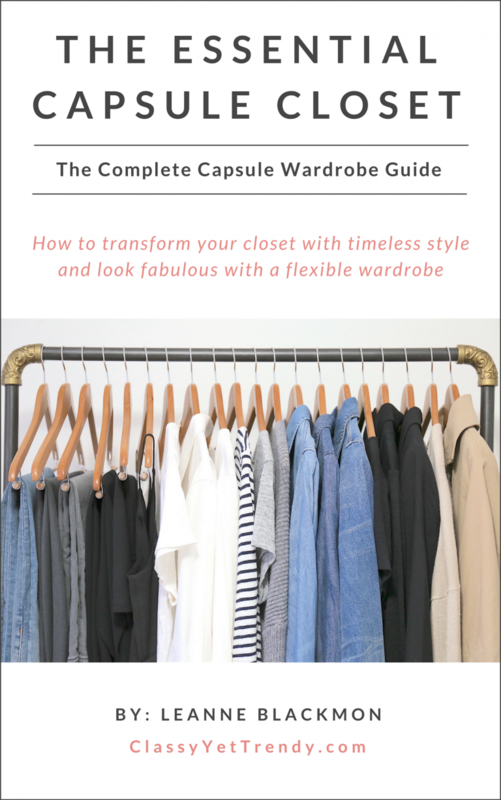 I publish several capsule wardrobe eBooks, complete with all the clothes, shoes and accessories you’ll need for the season, along with 100 outfit ideas, a checklist, travel packing guide and more! First, you may not have stains everytime, but if you do, my favorite stain remover I’ve used for years is Shout Advance Ultra Concentrated Stain Remover Gel. 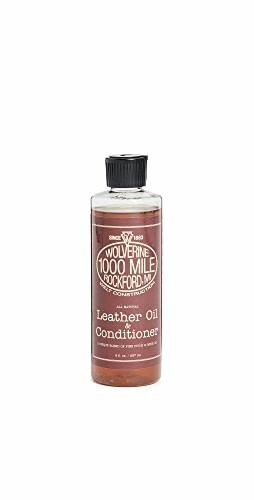 It works wonders, as there have been some stains that I forgot about until a week later. I didn’t think the stain would come out, but then when I would wash it and take it out of the washing machine, the stain was gone! First, let’s talk about detergent. Years ago I used powder detergent, but when I took my clothes out of the washing machine, there were clumps of powder on my clothes where the powder didn’t fully dissolve. When I switched to liquid detergent, my clothes came out perfectly from the washer! I have used Gain Detergent Original for several years and love that it’s a clean, fresh scent. Although it’s my favorite detergent, I also like using Tide Liquid Original Scent and will switch up periodically. I also recommend Mrs. Meyers Clean Day Laundry Detergent in “Honeysuckle”, which is responsibly made and biodegradable! If you’re like using fabric softener, I recommend the Downy Automatic Dispenser Ball. 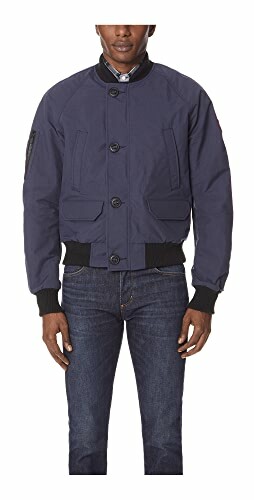 You fill it with liquid detergent, lift up the handle, drop it in the washer with your clothes, then it will release the fabric softener when it is on the spin cycle. Recommended liquid fabric softeners are Mrs. Meyers Clean Day Fabric Softener (responsibly made and biodegradable). 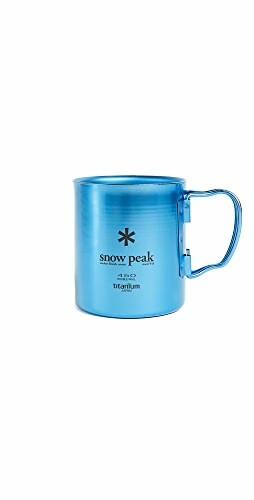 Grab a large bowl and run cold water in it. Use a large glass mixing bowl just for washing my delicates. Avoid washing them in the sink, since there may be residue in the sink that you don’t want on your clothes! 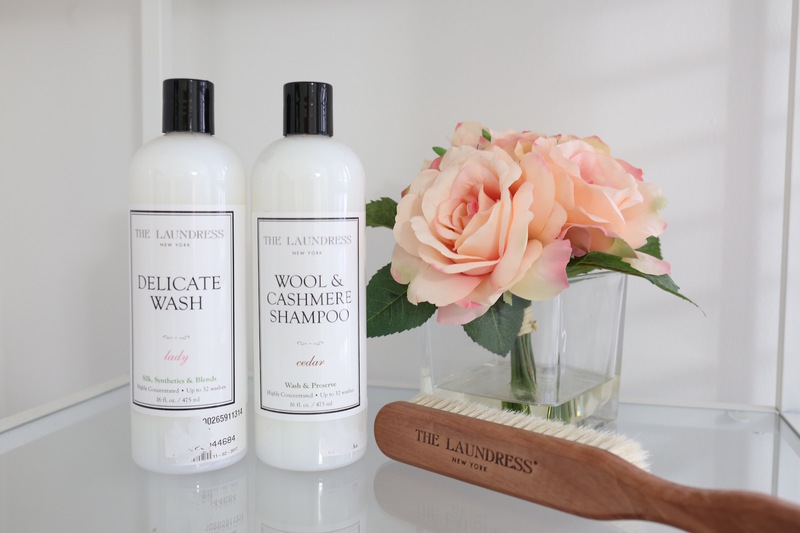 Pour just a cap full of the The Laundress Wool & Cashmere Shampoo in the water and mix it around with your hands. Gently wash your clothes piece with your hands using gentle mashing motions for a couple of minutes. Take it out of the water, then gently mash the water out, don’t ring it out to prevent damaging the fabric. Lay it on a Wooden Folding Drying Rack to dry. Before you put your clothes in the washer, pour your detergent in first. This way your detergent will start dissolving into the water and not into the fabrics of your clothes. Set your water level at the height that your clothes are up to inside the washer. If I don’t have many clothes in the washer, I will set the water level to low. If clothes are about halfway up, then I will set it at medium level. I don’t fill the washer completely, so that all my clothes will be washed thoroughly. Set your water temperature to COLD water. Doing so will prevent shrinkage and colors bleeding onto other fabrics. Set your cycle to NORMAL or DELICATE, depending on the types of clothes you are washing. For cotton fabric clothes, I’ll wash them on Normal. For undergarments and soft fabrics, I wash them on Delicate. Put in your first pile of clothes and start the washing machine. 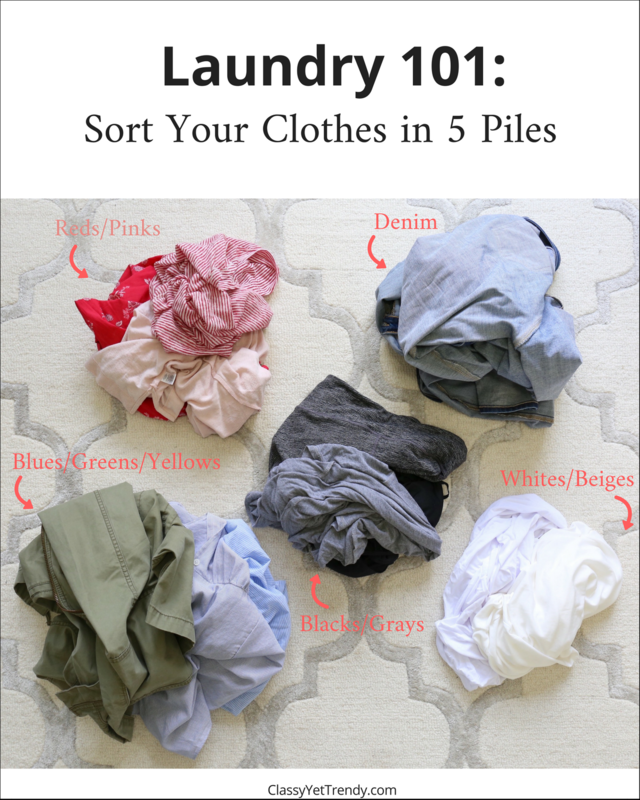 Follow these instructions for each pile. Be sure to wash your piles separately! Next, hang all your clothes to dry. I used to put all my clothes in the dryer, but I found that after a few times washing and drying them, that the colors started to fade, they would shrink slightly and they even developed holes in the fabric. I never put my clothes in the dryer. I only use the dryer to dry sheets and towels. By taking a few extra minutes to place them on hangers to dry, in the long run you’ll save lots of money by not having to replace your ruined clothes! I hang most of my clothes to dry on my wood hangers. I also recommend velvet hangers too. I lay my sweaters on a drying rack. To hang my jeans, I use my wood hangers with clamps on either side. When I hang my clothes to dry, I hang them on a rod over the washer/dryer and on my bamboo clothes rack in the laundry area where the air circulates well. 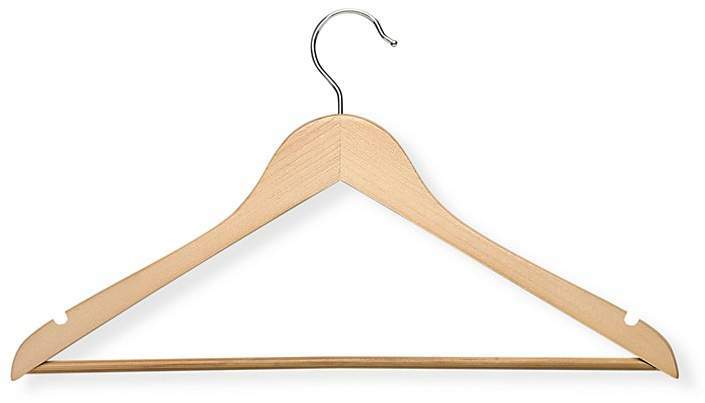 Unlike using metal or plastic hangers, wood hangers keep your clothes from bending out of shape or developing creases in the shoulders. 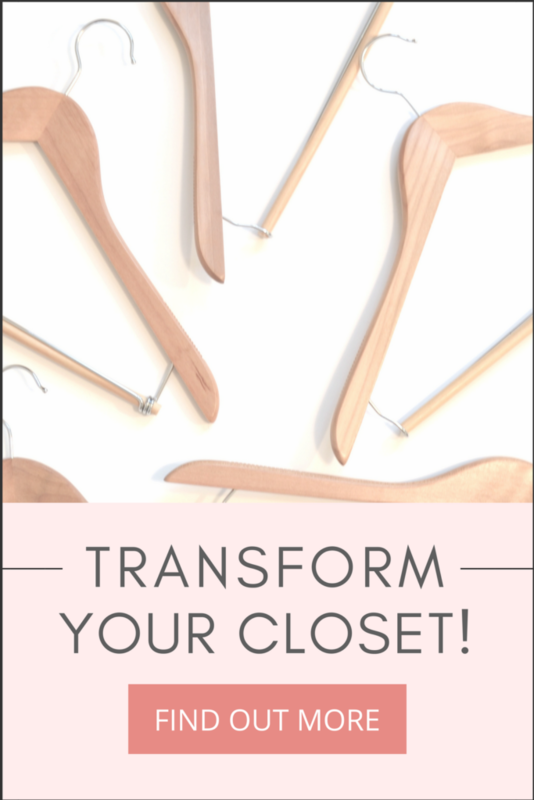 Wood hangers are great to use for your wardrobe. 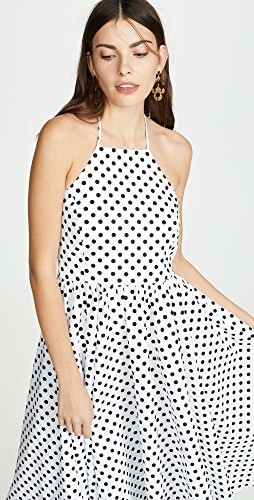 Plus, they will look great hanging in your closet! 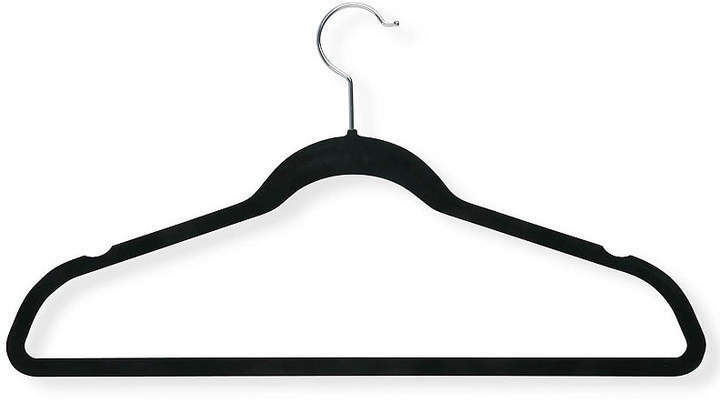 Since these hangers are slim and compact, you can fit more clothes in your closet. 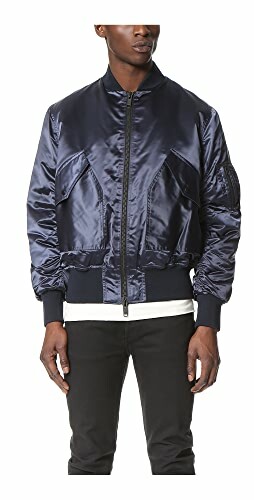 The velvet coating keeps clothes from falling off the hanger. 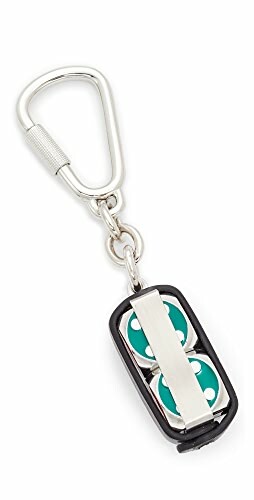 These type of hangers work well in a yearly capsule wardrobe. 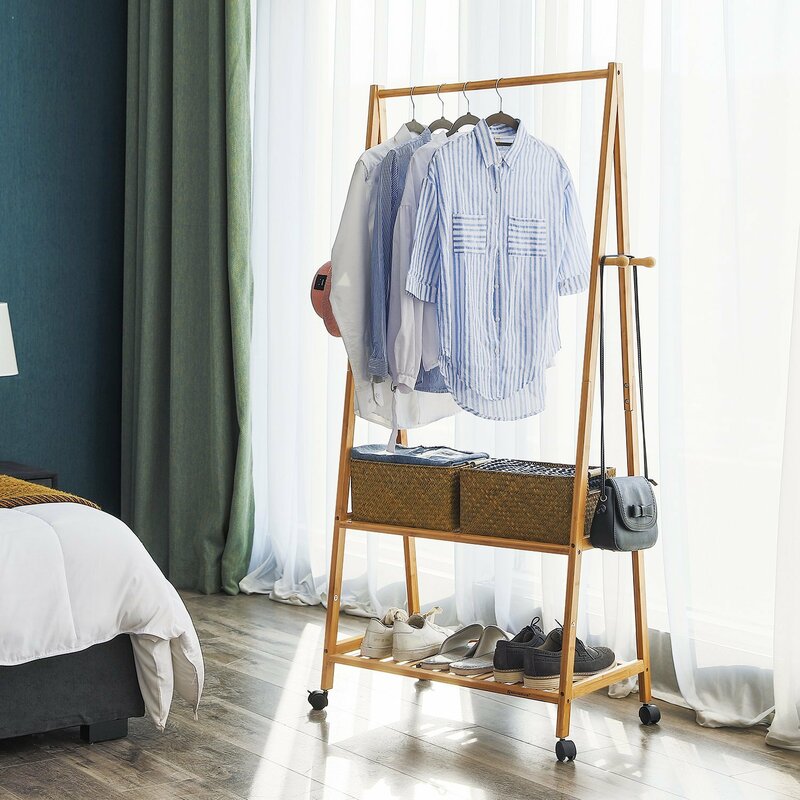 Drying racks are perfect to use for drying your sweaters and delicate items. 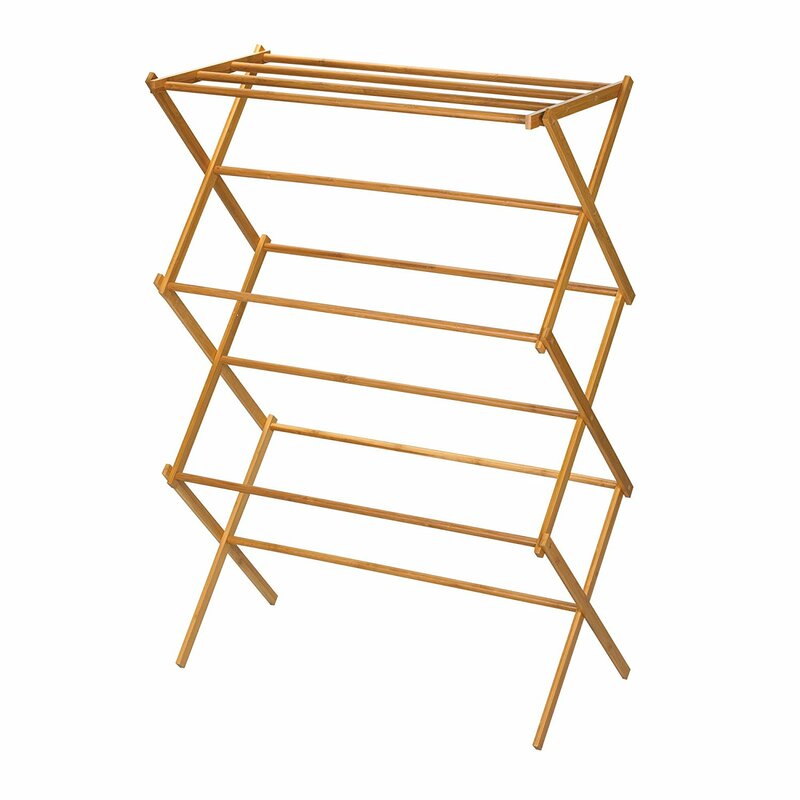 Currently, I use my bamboo clothes rack, exactly like one shown below, to dry a sweater if I wash it. I drape the sweater over the top rack to dry. I love this Wooden Folding Drying Rack as you can dry several items on it at once, then fold and store it when it’s not being used! I also like this White Folding Drying Rack, made of durable steel. 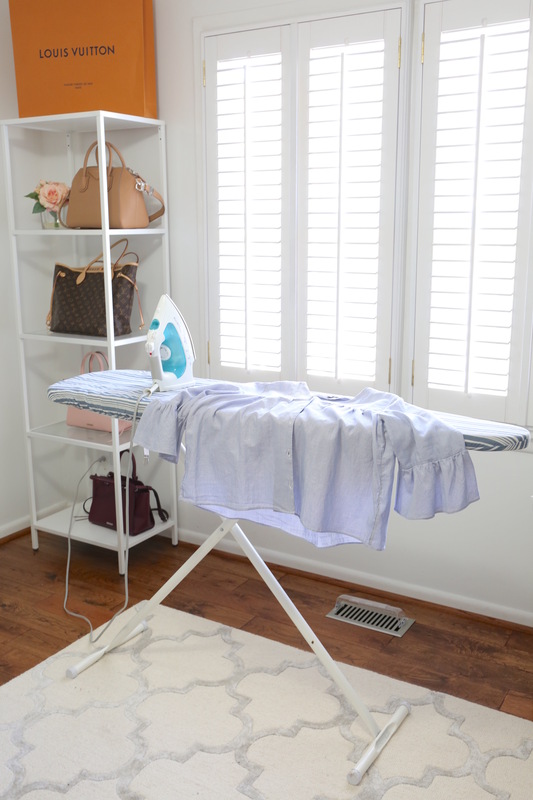 When your clothes are dry and if they have a few wrinkles, you can lightly iron over them. You may or may not need to iron your clothes; that will depend on the type of fabric. 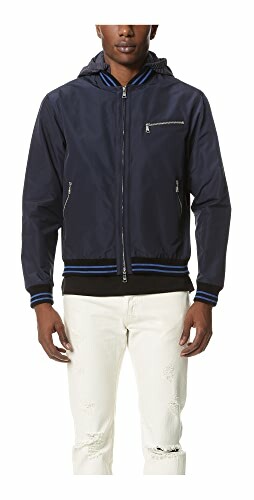 You may need to iron your cotton tees, button up shirts and jeans, if needed. If you are ironing cotton fabrics, you can use the steam button as you run the iron over your clothes to quickly release the wrinkles. I recommend using a Rowenta iron, like this Rowenta 1700-Watt Micro Steam Iron. I have had a Rowenta iron (see below) for about 4 years now and it still works perfectly. If you need an ironing board, this Homz Contour Steel Top Ironing Board with Filigree Cover is similar to my shown below. If you are limited on space, this Small Steel Top Ironing Board with folding legs and iron stand is perfect to place on top of your washer or dryer. Now, your clothes are all clean and ready to wear! Plus, by following these tips, your clothes may last at least twice as long! What tips and tricks do you use when doing your laundry? 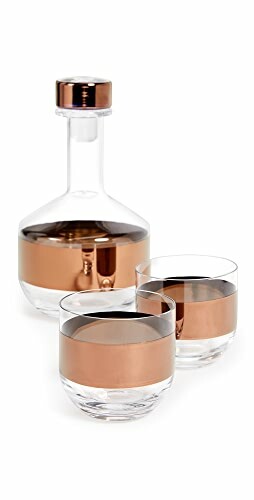 What about the “new” linen I’m seeing? 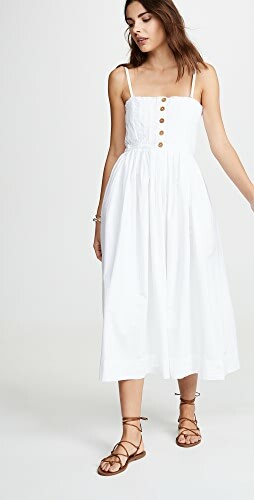 I bought a couple pieces and they don’t wrinkle but def are linen. I plan on washing by hand and hanging to dry. Thank you Isabella! Those are some great tips! Excellent post! Very complete and well done! 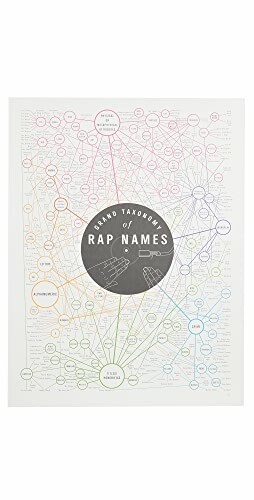 Heading to Ireland this weekend; I am going to give this my best shot! I am worried about shoes/boots though. Thank you Bernadine! Have a safe and enjoyable trip to Ireland! I put my jeans in the dryer because I need to shrink them back up again! Most of my clothes aren’t actually dirty after I wear them they just need to be freshened. I’ve become a big fan of the quickwash setting on my washer, with cold water, and no detergent at all. 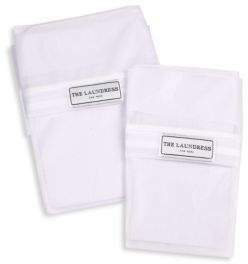 Another great way to freshen up garment is a dryer dry cleaning sheet. I hang all of my tops to dry. One trick I’ve learned, is to quickly smooth out/stretch the collars, front plackets, and cuffs while the garnet is still damp. Usually a quick snap will do the trick. I find this keeps me from having to do any ironing at all as I like a more “casual “look. I’ve also learned that hanging trousers by the hems keeps the shape of the crease and results in no ironing as the weight of the damp waistband pulls the fabric street again. Those are great tips Jeri! Thank you for sharing! Shop Black Gowns Dress, Black Bralettes, Black Turtleneck Sweaters, Silver Sandal Heels and more. Get this widget.